Army troops shot dead nine armed guards of a drug caravan and seized 700,000 methamphetamine tablets near the Thai-Burmese border in Mae Sai district of Chiang Rai province on Saturday night. The Pa Muang task force said that the slain gunmen came from Myanmar. 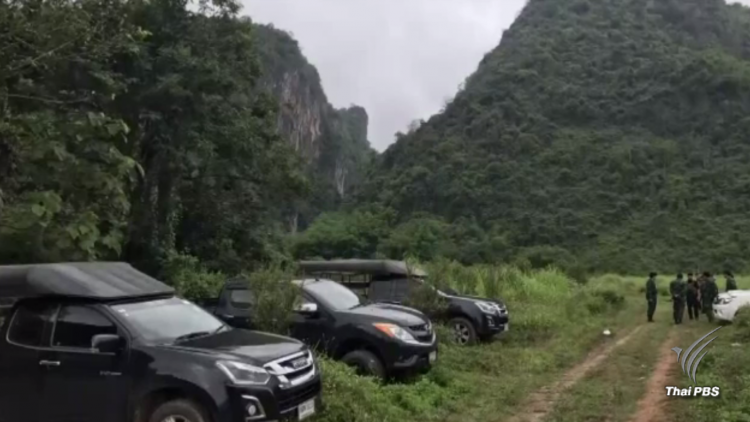 Acting on an intelligence report that a drug caravan would sneak across the border through Ban Pa Mee in Tambon Wiang Pang Kham, Mae Sai district on Saturday, a combined army and para-military ranger unit was dispatched to the scene to intercept the drug gang. At about 8.30 pm, a group of men was spotted and the troops ordered them to stop only to find themselves shot at. The troops returned fire and engaged in a fierce fight which lasted briefly. The troops waited until dawn to comb the scene of the firefight. They found ninet men lying dead along with six M16 and one AK47 assault rifles and several knapsacks containing 700,000 methamphetamine pills.